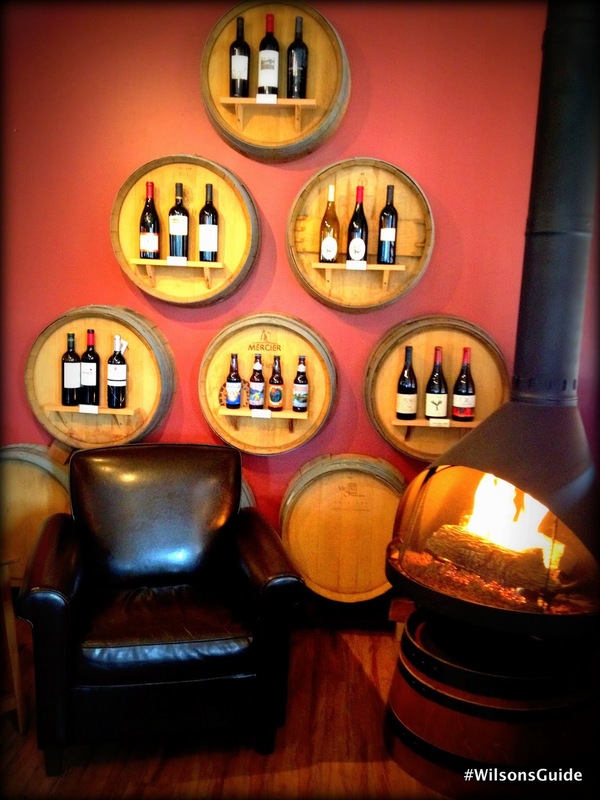 I’ll Be Back…: Because I haven’t been to every tasting room yet! The 4-1-1: In case you don’t want to worry about finding a designated driver and/or dealing with hassling for taxis, there are several train options that leave from the downtown L.A. Union Station and drop you off two blocks from where the Urban Wine Trail starts in Santa Barbara. A recent day trip to Santa Barbara reminded me how much I adore this coastal city. With its sleepy small town feel and picturesque tree-lined streets, although it’s only a couple of hours north of L.A., it's such a welcomed contrast to the hustle and bustle of our mega-metropolis. Santa Barbara simply oozes with character and charm, from the juxtaposition of the expansive Pacific coastline and the rugged Santa Ynez Mountains, to the scores of renowned restaurants and tasteful shopping boutiques. It also has another fascinating feature: the Urban Wine Trail! Concentrated in the downtown area only a couple of blocks from the coast and from the main drag State Street, approximately 15 wine tasting rooms scattered along the "trail" offer tastings, wine accessories and a wide variety of special events. Each tasting room has an incredible selection of wines, whether you’re looking for whites, roses, reds or something else (and since wine can be so subjective, I’ll decline to say which wine I liked the best and instead encourage you to try as many as possible, and let me know what you think!). Each tasting room also truly has its own distinct feel. There are some, like Corks and Crowns, that have over-sized, comfy chairs to plop into, right next to roaring fireplaces. Others, like Kunin, have a sleek, modern feel, and then there are still more like Oreana, which features live music on its patio on weekends. No matter the style – traditional or modern, relaxed or lively, colorful or monotone– you will most likely find one place that you enjoy. All of the tasting rooms I visited also had superior customer service, with staff who are knowledgeable, professional and courteous, without being too overbearing. I also appreciate that you can tailor your experience on the Urban Wine Trail to your preference. Spend the morning at one tasting room, grab lunch and check out another one in the afternoon. Or, spend your entire day trying to cram in as may stops as you can. Or, spend an entire day at only one. The decision is totally up to you, and there are no restrictions on how you choose to do it. Kalyra – Located on State St., this tasting room has a very relaxed, earthy atmosphere, with tiki masks hanging from its walls and other tropical accents. I like Kalyra because it has a more social and lively ambiance than some of the other tasting rooms. It also sells a lot of one-of-a-kind wine knick-knacks that I haven’t seen anywhere else. Corks and Crowns gets a nod for offering more than wine tastings; it also has beer tastings and Sunday champagne and cupcake tastings. The sweets are miniature cupcakes from Sugar Cat Studio, the 2011 Cupcake Wars winner. Flavors vary weekly, but the staff informed me that they are always unique and creative. On my last trip, I tried the Salted Caramel with Buttercream and the Chocolate Chip Cheesecake with Vanilla Cream Cheese Frosting (below, the third and fourth photos, respectively). Santa Barbara Winery has the classic wine tasting room feel, with an expansive wine bar in the middle of the room, and a barrel room in the back. It also has so many good wine gifts. So the next time you’re looking for a quick getaway from L.A. and also up for some wine tasting, I highly recommend traveling to Santa Barbara to experience its phenomenal Urban Wine Trail.